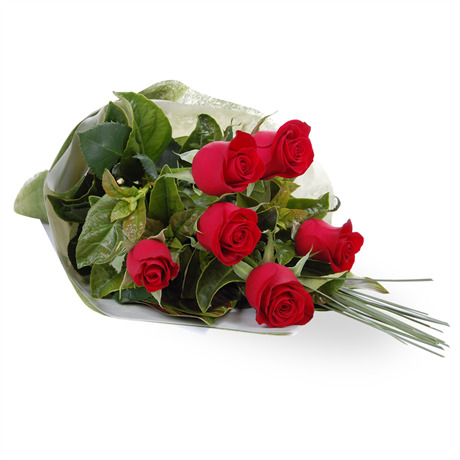 When you need to show someone how much you love them, ruby-red long stemmed roses will say everything for you. The symbol of true romance, the red rose is beloved by people everywhere. The disarming beauty of the rose with its velvety petals, intense crimson colour, and delicate swirl-like blooms make them the most popular romantic flower in history, and enable you to express love, passion, desire, commitment and affection without even uttering a word. Our Sally bouquet is a sultry collection of six long-stemmed red roses, painstakingly checked for perfection and delicately complemented with subtle greenery.